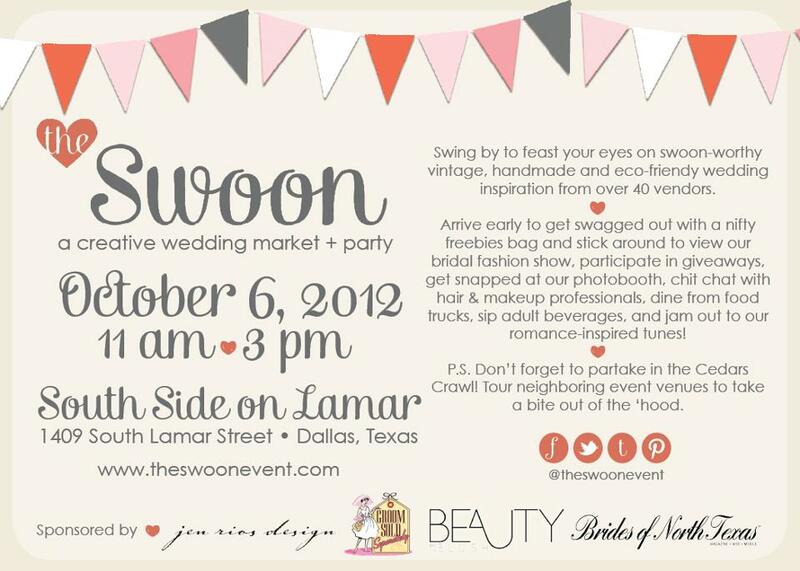 We are so excited to see all you DIY, craft-makin', vintage lovin' brides at THE SWOON soon! If you haven't heard about this fun event, you need to mark your calendars for Saturday, October 6th. You can check out all the deets here. We will be there with some pretty display cakes, tasty bites, dessert bar treats, and even have some little boxed goodies for sale for you to take to your hubby-to-be, best buddy, ma and pa, or all of the above! Yes. It's gonna be good. Find us set up with Rent My Dust vintage rentals! A one stop shop for all your fabulous dessert bar needs.